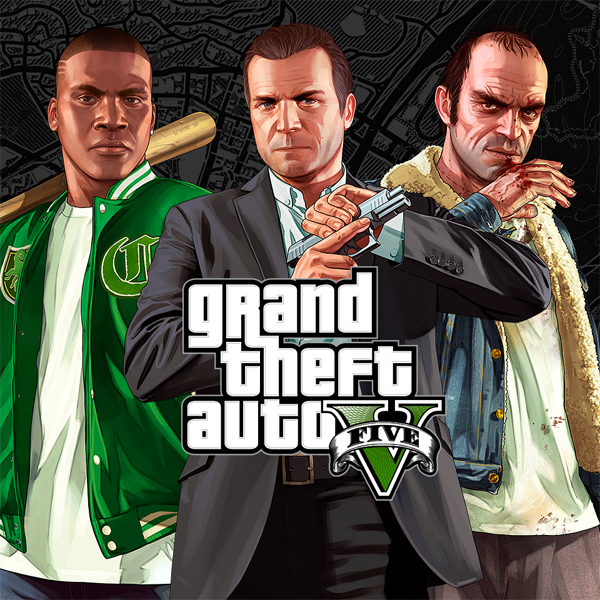 Grand Theft Auto V Now Available for PC! Finally! The day has come. 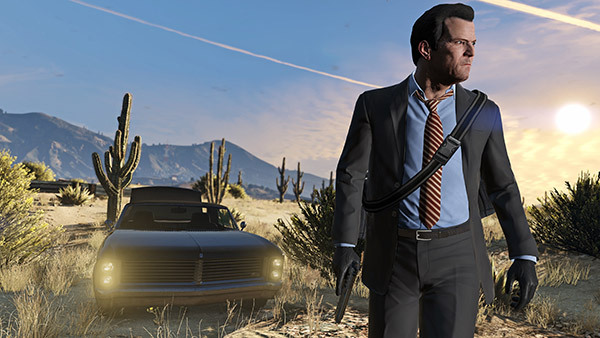 Grand Theft Auto V is now available on all platforms. The PC version officially unlocked at midnight (UK time), and hundreds of thousands of gamers were already playing on Steam within hours. The PC version offers many enhancements and new features over the console versions, and Rockstar have today summed that up in a nice overview. Check Rockstar's summary for more info, and remember if you're having any technical issues with the game you should use Rockstar's Support site. We're mere hours away from the launch of long awaited launch of Grand Theft Auto V for the PC, but Rockstar has one more thing to show off before we get to play, and that is the Rockstar Editor. Remember the video editing tools in GTA IV? Forget them. Rockstar has massively improved upon that and has basically developed a powerful in-game video editing tool, best explained in the video below. Watch today�s video �An Introduction to the Rockstar Editor� for an overview of just some of the features of this powerful video creation tool including special camera modes, filters, depth of field and audio customization options - as well as the unique Director Mode feature that allows you to stage creative moviemaking sequences from a cast of characters ranging from familiar faces from Story Mode, to pedestrians and even animals. You�ll be able to upload your finished masterpiece to YouTube and to the Rockstar Games Social Club to share with friends. Rockstar Games have just sent us an exclusive new screenshot from GTAV for the PC! Cheers guys! The wait is almost over... With less than a week to go until the release of Grand Theft Auto V for PC, today we have been treated to a round of hands-on previews from some major gaming sites. PC Master Race advocates have rightly had some concerns over this game, worrying that it may be a half-arsed port of the console versions (GTA IV's poor PC port didn't do much for Rockstar's reputation in this department), but the truth is, according to these previews there is no reason to be concerned at all. The following sites have hands-on previews of the game, which include some new screenshots too, so check them out if you wish. We've plucked a couple of choice parts from a few of them with regards to what's new or improved from console versions below. GTAV for PC is already being called the "definitive version" of the game, and although it's arriving over a year after the console versions, it's sounding like that could certainly be a fair summation, and that it will all have been worth the 19-month wait. So�why is it the definitive version? What is so much better about this version of the game that the PC Master Race will get to experience and the 45 million people who bought the game for a console didn't get? Firstly, unlike console gamers, players on PC will have access to GTA Online from day one, including all the free DLCs that Rockstar have released over the past year, and the recent heists update. Players on PS3/PS4/X360/XBOne who are upgrading to the PC version will have the ability to transfer their console character's progress, so you'll be able to continue seamlessly on PC and won't have to start from scratch unless you really want to. Whether the servers hold up to demand on day one remains to be seen, but at least the game itself will be much less aggravating than it was when console gamers first experienced it. There's no doubt some skepticism based on some past ports of Rockstar games, like GTA 4, and the ongoing, slightly heartbreaking absence of Red Dead Redemption on PC might make you wonder how much the publisher values the platform next to consoles. Max Payne 3 was a vast improvement, though, and I see no reason to be concerned with GTA 5 either�this port looks incredible and I swore a hell of a lot (in a good way) at the gorgeous skylines during my hands-on. This is a handsome game. I was shown the game in 4K resolution running at 60fps. The PC Rockstar was demoing it on is outside the price range of most consumers, with an i7 [email protected], SLI GTX 980, 32GB of RAM and a 256GB SSD, but that�s just to show off how pretty it can look. Rockstar says that even average rigs won�t have a problem getting great 1080p performance out of the game, which is encouraging. Scalability is a priority for them. If you don't want to build your own station, you can enjoy some new tunes on the in-game stations courtesy of Rockstar. For the PC version, the developer added The Lab FM, hosted by Alchemst and Oh No, to the rotation. Artists featured on this eclectic new station include Earl Sweatshirt of OFWGKTA fame, Little Dragon, Tunde Adebimpe from TV on the Radio, Phantogram, Freddie Gibbs, Gangrene, Future Islands� Samuel Herring, and more. Lastly, Rockstar have massively improved the built-in video editing tools they gave us back in GTA IV. GameSpot got John Macpherson, lead gameplay designer at Rockstar Toronto, to talk a bit about what's new. The Rockstar editor in GTA V is a massive expansion from the video editor we had in GTA IV. The GTA community is incredibly creative and we wanted to give them a much more advanced set of tools to work with. 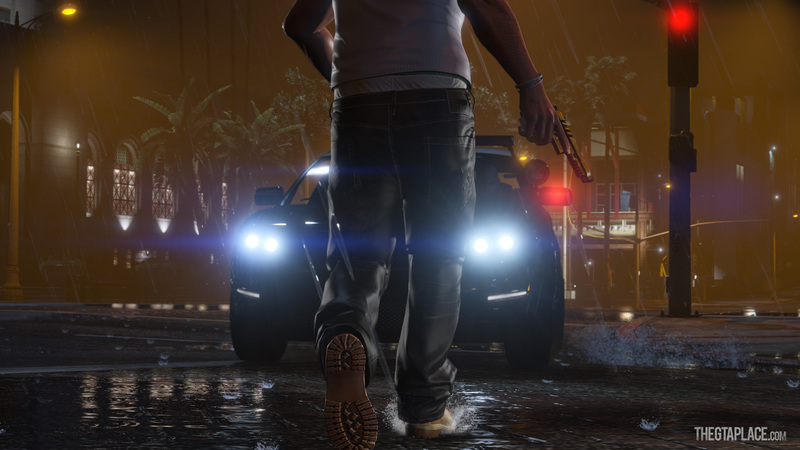 With the Rockstar editor in GTA V, players can capture and manipulate game footage at will. We've increased the number of options available so that players can manipulate film speed, depth of field, different kinds of camera positioning and the various blends between them, filters, and more. We have also expanded the ways that players can manipulate sound on their movies. Within the editor, players can add and edit multiple radio tracks to a single video, choosing from the huge range of score composed for the game as well select songs from the GTA V soundtrack and even in-game advertisements. Once you�re finished, you can now share your videos directly to YouTube, and we will be working to support community creations through events and contests. In case you hadn't heard already, GTAV PC is available to preload on Steam right now if you've pre-ordered it. And you'll probably want to preload ASAP, it's a whopping 60.4GB! For those of you on slow or transfer-capped plans, you'll probably want to opt for the retail version instead, which is apparently comes on 7 discs! While many skeptics declared they wouldn't be buying GTAV on PC due to all the delays and the belief that Rockstar didn't care about the platform, Steam's bandwidth graphs paint a different picture. The image captured below shows that demand for the game is still absolutely huge, with an enormous increase in data transfer occurring as soon as the ability to preload went live. Probably... Rockstar have tried their best so that even those with average PCs will still get the definitive experience. Of course, the game won't look as good as those playing it on super computers, but the important thing is it should be playable. If you're not sure, feel free to post your specs in our forums and we'll make educated guesses as to how it will perform for you. The official trailer showcasing the PC version of GTAV has finally arrived in all its 60fps glory. Make sure you're watching on the most recent/powerful device you have for the best viewing experience.